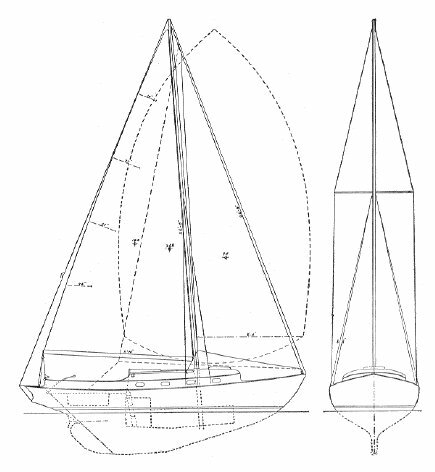 This is a larger version of the Herreshoff designed FISH but with a cabin and different rig. A smaller version was originally built of wood by Herreshoff Manufacturing. The design was aquired by Cape Cod Shipbuilding where it was built of fiberglass with some modifications at the direction of Sydney Herreshoff. Besides the version shown above, another variation has a larger cockpit and smaller 'cuddy' cabin.